Welcome to the roadshow page. The original NFU trailer is now defunct as animal transport is difficult post foot and mouth and the restrictions that followed. However we are continuing with a new trailer with support from many of the businesses we trade with at Greenheyes plus the NFU and DEFRA who take the primary role. 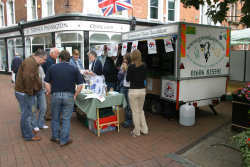 The trailer made its first appearance at the Nantwich food festival in September 2005 and is now available for events such as school summer fairs at time of writing we are booked for four such events. 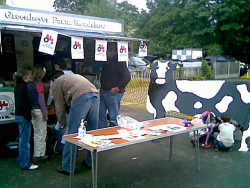 We aim to carry games (with prizes) giveaways (thanks to all the kind firm’s support) together with activities such as our foldout milking cow. Here we are having just set up at Bollin School. You can see that our "milking cow" is already receiving attention. ALL SCHOOL VISITS ARE CURRENTLY FREE OF CHARGE. We aim to keep it that way. 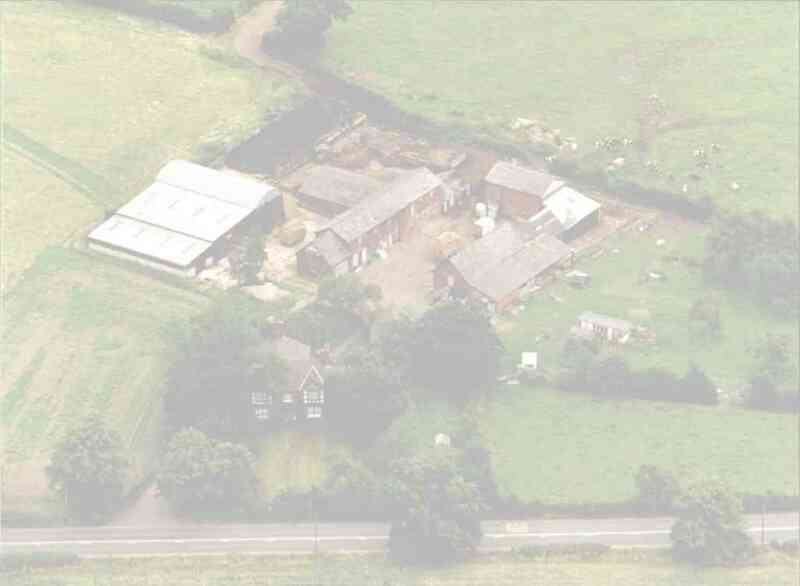 OUR ONLY RESTRICTION IS DISTANCE.= 25 MILES MAXIMUM FROM HOME. See you on the road PHIL ?